For the uninitiated to Vancouver’s craft beer scene, a trek through the tap turf of the city’s downtown breweries provides an easygoing orientation. With nine breweries and taprooms located within a walkable one-mile stretch (word to the wise: Don&apos;t try and tackle them all in one day! ), a self-guided walking tour is the best way to explore all things "Brewcouver." STOP 1: A brew tour of downtown should always start with a trip to Loowit Brewing Company Arguably one of the most celebrated forerunners of the city’s current craft beer boom, Loowit is known for its award-winning beers and laid-back digs—complete with garage doors, vintage arcade games, live music, and a family-friendly atmosphere. Try the Shadow Shinobi, the brewery&apos;s flagship beer with a storied past, for a classic Northwest-style IPA. STOP 2: Just around the corner, Beerded Brothers prides itself on its nano-brewery status. Small batch beers, like its Black Beerd IPA and Agave Amber Ale, are available by the pint in the sparse and small but stylish tasting room. If you visit on a Thursday, Friday, or Saturday, fill up on a brisket sandwich or juicy pork ribs from Sugarfoot&apos;s BBQ, which sets up shop at the front of house. STOP 3: Trust us on this one: You&apos;ll want to give these beers a taste. Trusty Brewing is the byproduct of owner Gary Paul’s homebrew obsession, which started 20 years ago in his San Francisco apartment. 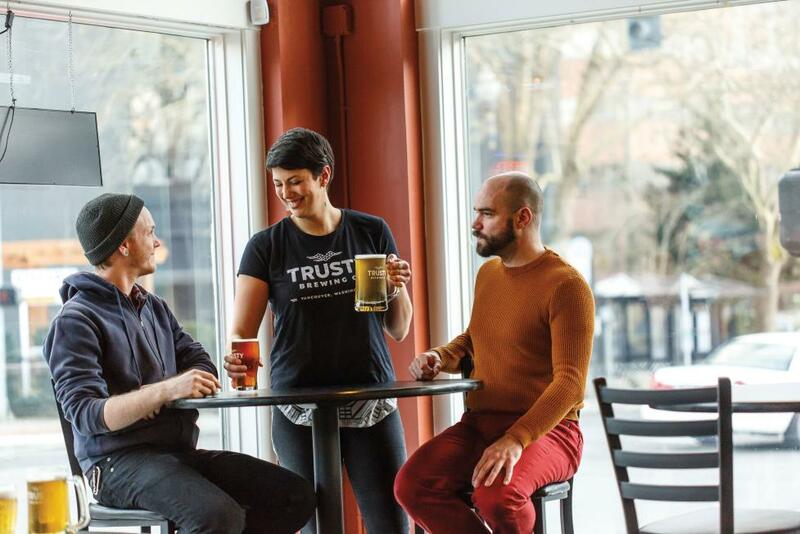 Paul has since opened the doors to Trusty in the historic Columbian newspaper building, earning props for the Corner Window IPA, which was named the best IPA in Vancouver by Willamette Week. STOP 4: Just a hop’s toss westward on Evergreen Boulevard, Old Ivy Brewery & Taproom boasts a continually rotating tap list of local beers and ciders. In addition to their own Old Ivy beers, the brewery also serves up a delicious array of food made from scratch, including the Ivy Burger stuffed with roasted Anaheim peppers and Tillamook cheddar cheese. STOP 5: Up the street, Heathen Brewing’s Feral Public House welcomes craft beer aficionados with its promise of “progressive ales for the promiscuous palate.” Heathen rollicks in irreverence with beers like the Promiscuous Blonde (featuring "seductive Saaz hops") and Son of Malice Imperial IPA (unrepentant at 8.7 percent ABV). 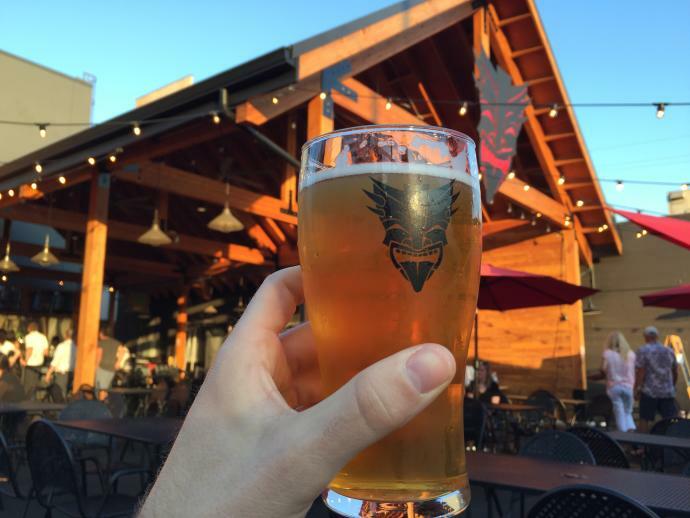 Don’t miss happy hour on the massive patio for pub grub and discounted drinks. STOP 6: Before you make your way north to Uptown Village, pay a visit to the industry hangout spot best known for it&apos;s 32-oz birthday steins. 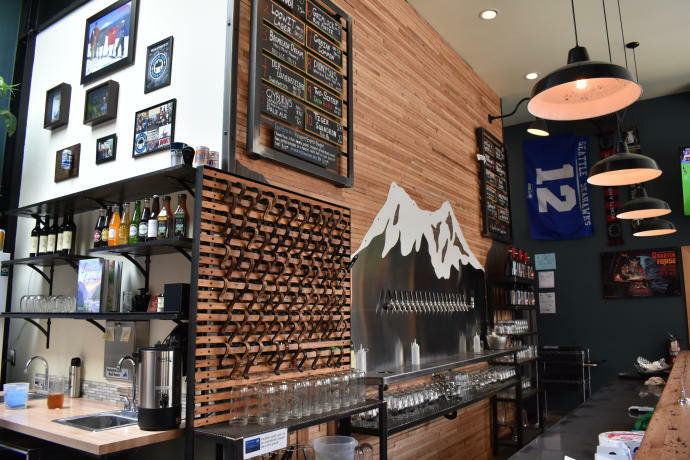 Boasting 20 rotating taps to choose from, Tap Union Freehouse provides a bevy of both locally brewed options and farther flung finds. What isn&apos;t readily available on tap can be pulled out of the cooler in bottle or tallboy form. 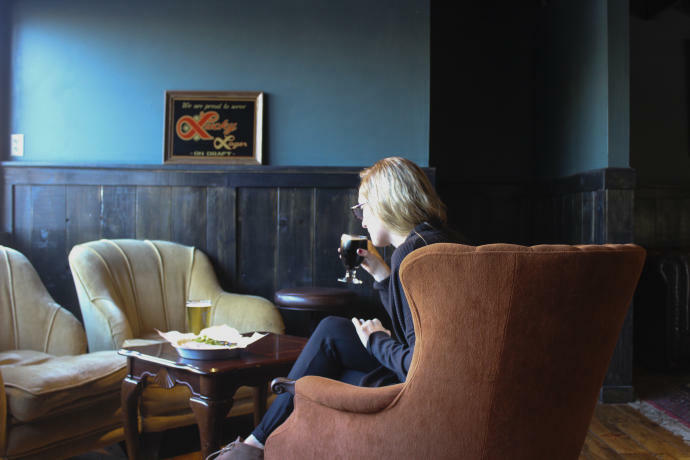 Check out the upstairs space for a cozy atmosphere complete with overstuffed chairs for lounging and board games. STOP 7: Where to head when the apocalypse is nigh? Hit the road and cruise up Main towards Doomsday Brewing Safe House for a pint of Nuclear IPA or Redemption Red. 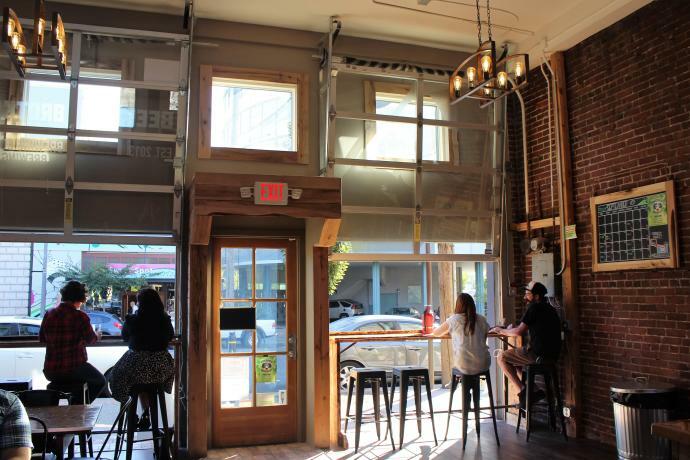 The Safe House is Doomsday’s Vancouver outpost (brewing operations are headquartered just east in Washougal), and it brings a taste of steampunk to the streets of Uptown Village. 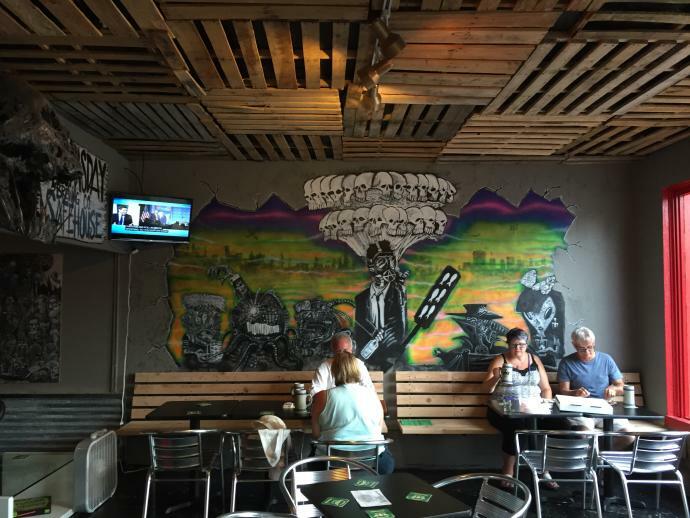 Skulls and apocalyptic murals adorn the walls, but hunker down out back to enjoy the expansive patio space and pizza food cart. STOP 8: Follow in the footsteps of Bigfoot himself and take a trip up the block to enjoy the woodsy tavern meets hipster taproom vibes of The Thirsty Sasquatch. The 25 taps here pour cider, barley wine, and kombucha in addition to a variety of stouts, ales, and lagers from around the Northwest. Visit on most Mondays to join in on a high stakes (but free to play) BINGO game. 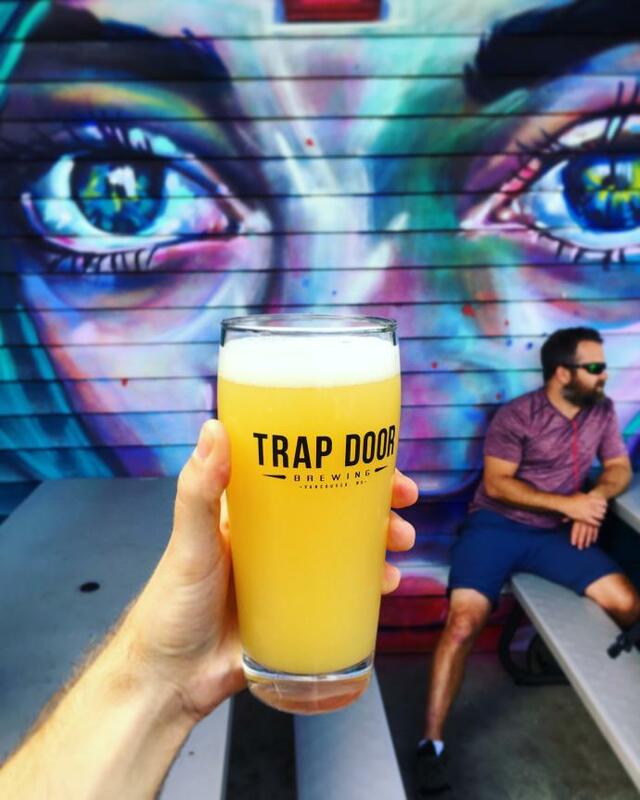 STOP 9: The northernmost purveyor of suds on Main Street, Trap Door Brewing anchors Uptown Village’s lively food cart pod. Its best beers are often juicy and experimental, such as its hazy IPAs laden with Citra hops or its fruit forward concoctions like the Mango Lassi sour gose. The pints taste great inside the taproom, but they’re best enjoyed on the covered patio—complete with gas firepits and food from E-San Thai and The Taco Truck. PRO-TIPS: If you&apos;re on a time crunch or would rather save your sneakers from the pavement pounding of a self-guided tour, hop on the Couve Cycle for a pedal-powered tour with party tunes to match. To reap the full rewards of your tap tour, download the BREWCOUVER Passport (it&apos;s free!) to redeem cool prizes along the way. Former marketing director and proud Vancouverite.